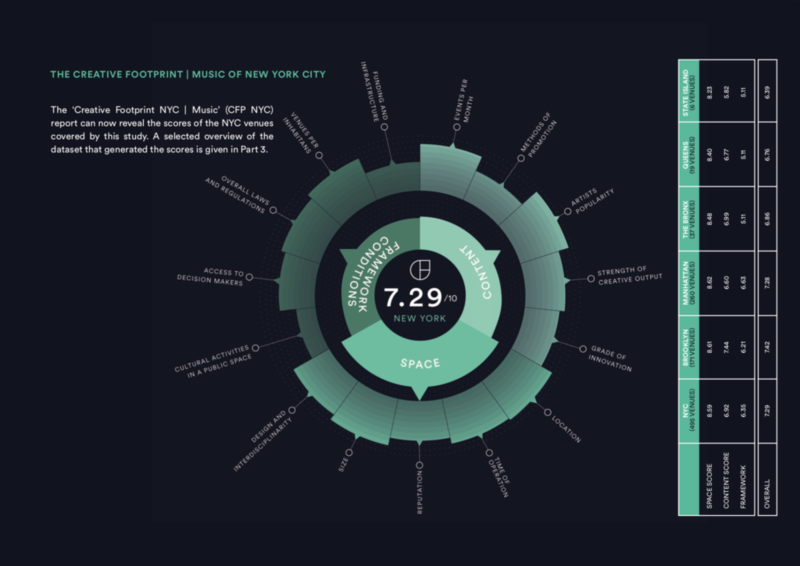 Creative Footprint in NYC was a cultural impact study on the wellbeing of the live music scene in New York City. The report asserts the importance of affordable creative space to a city centre’s social and economic health. The CFP NYC report recommends that affordable working creative spaces should be a vital component of all the boroughs, throughout the city. Identifying music as a primary catalyst, the report processed and evaluated an extensive, brand new dataset. This dataset is collated from nearly 500 venues and 150 stakeholders based in New York City, with 15 data researchers and designers, as well as New Yorkers active and expert in the city’s music industry. The study is compiled of more than 25,000 data points with rich spatial analysis maps developed by the University of Pennsylvania’s applied research arm PennPraxis. The New York Times published an article about the Creative Footprint report and shared some key insights. Manhattan is packed with the most live music venues — and many of the city’s largest and oldest — but has the lowest number of so-called “experimental” spaces; Manhattan’s offerings are more mainstream and commercialized. The most experimental spaces in the city are in Brooklyn and the Bronx. “The most creative stuff tends to happen in the outskirts, with a lot more of the mainstream programming happening closer to the areas where it’s much more expensive to be,” said Ross Gardiner, who helped compile the report. The preparation of the report takes a lot of effort and for handing it over to you we want you to grant us the permission to contact you over our newsletter in return. Isn’t that fair? If you want to buy the report please contact us by email. 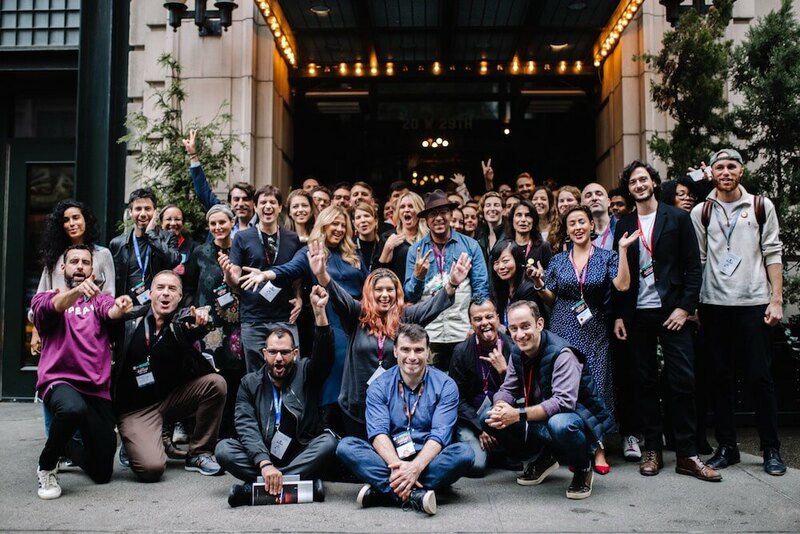 In September 2018 the results of the Creative Footprint NYC were released at the Ace Hotel in Manhattan. With more than 25,000 data points collected about the city’s 495 venues, the report gives a detailed snapshot of the health and vibrancy of New York’s live music scene. The CFP NYC report launch was followed by a day-long intensive workshop session called NightCamp, which brought together 80 engaged stakeholders from the city’s nightlife community. The night camp workshop topics included discussions centred around creating legitimate pathways for underground and DIY operators, discussions around renting and owning creative spaces, establishing safety standards for NYC nightlife, and discussing the role of live music in NYC’s public spaces. The results of the workshop were aggregated into a white paper which we hope will drive the conversation around these important topics in the coming months.